N2Ndata was built using a flexible, modular approach to allow us to easily and cost effectively provide customised data visualisation and reporting. There are a number of common modules such as waterVIEW, gasVIEW, electricityVIEW, energyVIEW, Dashboards, KPIs, Alarms, Reports, Asset Management and Notes but also specialist System Modules. These include poolSMART, boilerVIEW, towerSMART, solarVIEW and wasteVIEW. These pre-built Modules gather, integrate, process and report data from multiple and diverse sources (eg BMS, local controller, meters, sensors, weather bureau, utility suppliers, etc) to provide comprehensive performance reporting of many system-specific parameters and KPIs. This data visualisation and reporting is generally not otherwise available to building operators and managers using a single system. N2Ndata is a truly universal information platform; it can host and process live and manual data from any time zone, of any interval, in any protocol from any source for any parameter in any units. Our system regularly deals with kPa, pH, TDS, Conductivity, Turbidity, Cl, RH%, Temp, kWh, kL, etc. 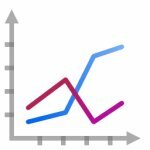 The system normalises the data so that they can be aggregated and processed to provide otherwise unavailable interval totals and performance KPIs (eg Langelier Saturation Index) and multi-axes trend charts. Specialist multiVIEW Modules are available for water treatment plants, boilers, cooling towers, swimming pools, solar farms and data centres. Others can be easily created for you. A framework of KPIs, targets, benchmarking and mandatory reporting is arguably the most effective driver for performance improvement . The N2Ndata platform was designed with this in mind – multiple KPIs can be created for every meter or group of meters. One or more Business Activity Indicators (BAI) can be entered online or data can be generated by another meter. Each KPI-enabled meter or group of meters can be associated with any BAI (and other formulae factors) and N2Ndata automatically calculates the KPI based on live data. The system automatically benchmarks daily and monthly KPI results against the Target, Baseline and Best Proactive values and provides trend charts and traffic light colour coded Dashboards and Exception Reports. Multiple alarm conditions can be setup in N2Ndata for every meter or sensor. High and/or low thresholds can be defined and one or more of a range of logic conditions chosen. Both Public and Personal Alarms can be created; however, the Public Alarm Administrator manages the official alarm regime and distribution; this ensures consistency and proper control. 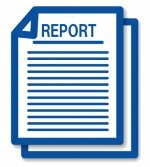 A wide range of summary, status and exceptions reports are provided ‘out of the box’. Our emphasis on data integration and automated analysis, dashboards, traffic light colour coding and exceptions reports means users have ready access to quality information needed for making good decisions. There is generally no need for risky custom spreadsheets but data can be quickly exported in MS Excel for special off-line analysis (eg regression) or uploading to other systems or we can automate data forwarding via ftp. N2Ndata’s flexibility means we can also easily develop custom reports; all reports can be emailed daily, weekly, monthly or on demand. Our Invoice Module allows billing details to be easily entered into N2Ndata online. The full range of charts and reports for usage and/or cost are available. 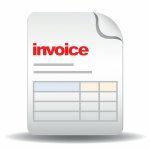 Bill Check allows live logger and invoice data comparisons. The live data system can also be synchronised with the cumulative reading of the meter register (usually shown on the bills) to make comparison easier. Not ready for live data logging yet or have a parameter that cannot be automatically measured? No problem, you can enter any such interval data online and still enjoy the full range of N2Ndata visualisation and reports. Parameters like Total Alkalinity and BOD no longer have to be squirreled away in filing cabinets or spreadsheets; they can be entered online then hosted and processed by a common system and so made accessible to everyone. Such manually entered data can be reported together with logged data and overlaid for comparative analysis as well as ussed to create complex KPIs or Indices such as LSI . 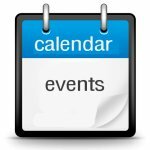 Diary Notes can be created for events associated with any meter or sensor. The date, time, subject, issue/matter and author are all recorded in our database. Notes are indicated by on-chart symbols and displayed upon mouse over. There is a Notes Summary Report plus an optional Notes Summary Table below each chart. This popular feature keeps everyone in the loop and up to date with what happend, when and why. Your site plans, reticulation single line diagrams, audit reports and other reference documents can be hosted in the N2Ndata platform for quick and easy access by all.